Profoto Pro-10, World’s Fastest Flash? A couple of weeks ago, Profoto announced their Profoto D2, a monolight, that Profoto claimed is the fastest in the world. The D2 featured flash durations down to 1/63,000 of a second. This week, Profoto is back with the new Pro-10, which Profoto says is the fastest flash in the world. How does it compare to the world’s fastest monolight? Well, according to Profoto, the Pro-1o can reach flash durations of 1/80,000 of a second. It’s all about speed with Profoto. Though that’s not all that comes with the Pro-10. The device features 2400Ws of power and a power range of 11-stops. Like many of today’s flashes, the Pro-1o features High-Speed Sync and TTL. For more details and technical specifications check out the press release below. With a flash duration as fast as 1/80,000 of a second, and the power to generate a huge amount of light in a very short time, you can now freeze everything from a water splash to a waterfall perfectly. 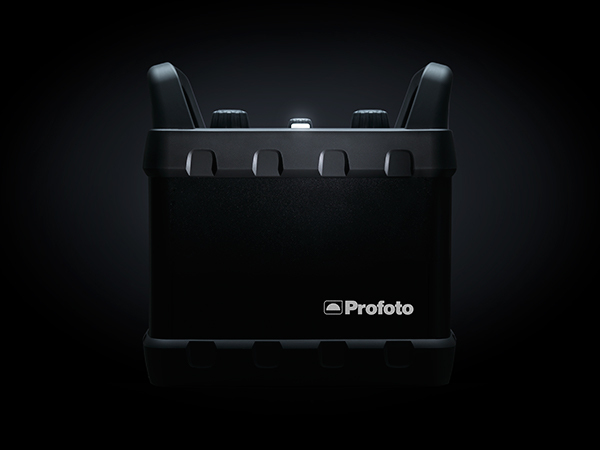 Ever since the release of the Pro-1 in 1968 Profoto has created game-changing flashes for the world’s best photographers. Today everything is about to change again with the launch of the Profoto Pro-10. This studio generator will open doors to creative possibilities that until now – were simply out of reach. To say it’s fast is an understatement with a record-breaking flash duration of up to 1/80,000 of a second. But what really sets the Pro-10 apart is that it’s the perfect fusion of speed and power—2400Ws of power to be exact. The light output it generates is truly enormous and it provides a shorter flash duration than any other flash across the entire power range. This dramatically increases the scale of what you can shoot and freeze, everything from a water splash to a waterfall are perfectly frozen in time. Recycling time is also record breaking. The Pro-10 can easily match the fastest cameras even when the light output is set high, making it easier to capture the perfect moment by shooting in bursts. Power however, is nothing without control. And with the Pro-10 the controls are typically intuitive with three large rubberized dials and a huge hi-resolution display, so it’s easy to see, feel and hear every change in the flash settings. As a result the photographer’s attention is exactly where it should be–focused on creating a great image. The power range is an impressive 11 f-stop, making the minimum light output a mere thousandth of that at full power. And the power can be controlled minutely in 1/10 f-stop increments with remarkable power and color temperature consistency from shot to shot. The fact that the Profoto Studio Generators are available at 80% of the world’s rental studios is a testament to their uncompromising engineering and craftsmanship. But with the Pro-10, Profoto upped the ante considerably. During development the Pro-10 was heated, beaten and stressed like never before – it is truly built like a tank. Combined with the Profoto promise of continuous software upgrades, it will still be enabling the world’s best photographers to unleash their creativity decades ahead. Because ultimately the Profoto Pro-10 is so much more than the world’s fastest studio flash – it’s your imagination set free. It’s the speed to exceed. The Pro-10 is released September 20, 2016. It is available at well-stocked rentals from day one. Available in 2400Ws with two outlets individually adjustable in 1/10 f-stop increments over an 11 f-stop power range. Bursts up to 50 flashes per second with flash durations up to 1/80,000 of a second. High-resolution display with a superior, intuitive interface with large dials. Fully integrated with all Profoto Air and AirTTL camera remotes. High Speed Sync up to 1/8,000s. Shoot in TTL or manual mode. Firmware upgrades from profoto.com installs easily via built-in USB port. Compatible with 11 different flash heads and 120+ Light Shaping Tools from Profoto’s renowned light shaping system. *Comparable with 1/2,000s (t0.5) in conventional studio flashes.